After almost a decade of dominance in Mega Manila, 24 Oras is receiving some big competition from its direct rival TV Patrol. According to the data released by AGB Nielsen, TV Patrol scored a strong 27.4% during its January 27 broadcast (where they devoted a comprehensive coverage of the Vhong Navarro fiasco) and 25.58% for the entire week, up from its average of 20.06% the previous week. To put it into perspective, this is the first time in recent memory that the ABS-CBN evening newscast scored back-to-back wins in AGB Nielsen Mega Manila ratings. While the ratings boost was clearly brought by the coverage of the Navarro fiasco, it's interesting to note that TV Patrol was able to retain its lead the following week (February 3 to 7), averaging 22.8% versus 24 Oras' 19.8%. So how did they manage to hold the recent ratings gain? Well, aside from the continuous coverage on Navarro-Lee-Cornejo soap opera, TV Patrol is also benefiting from the strong primetime lineup of ABS-CBN, which is lording the ratings both in Mega Manila and nationwide. Sure, some would say TV Patrol swapped some important national stories to cover celebrity-oriented stories, but GMA and TV5 also did the same thing. Solar News, of course, delved into more serious matters by completely ignoring the story. In all fairness to TV Patrol, and we put this in the nicest possible way — they have been known for being a tabloid newscast (the first in the country), and they've been proud of that. Also, they make no pretense of being a highbrow newscast like Solar Network News and they have a specific audience — the masang viewers. 24 Oras, after settling comfortably in first place for almost a decade, has become the "lightest" out of the Big 3 evening newscasts. TV Patrol, while still being discredited by some because of the political ties/background of its anchors, is a reinvigorated and a much better newscast now than it was years ago. 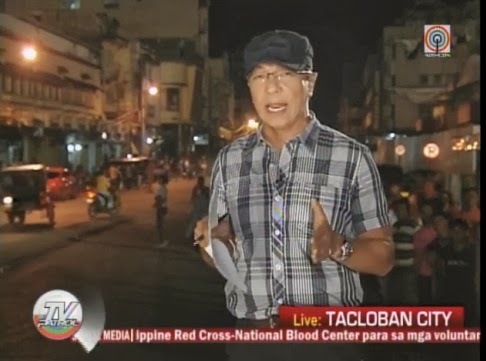 It's worth noting that while others have criticized them for going the celebrity route by covering the Navarro story, TV Patrol did something noteworthy last Friday (February 14) by devoting a huge chunk of airtime to report on the 100th day since the wrath of super typhoon Yolanda. If TV Patrol continues to gain grounds in Mega Manila, expect the Kapuso Network to make some dramatic changes to protect its flagship newscast. Although we heard that a new graphics and set are underway this first half of 2014, changes in the newscast's editorial lineup and content are definitely much more needed. 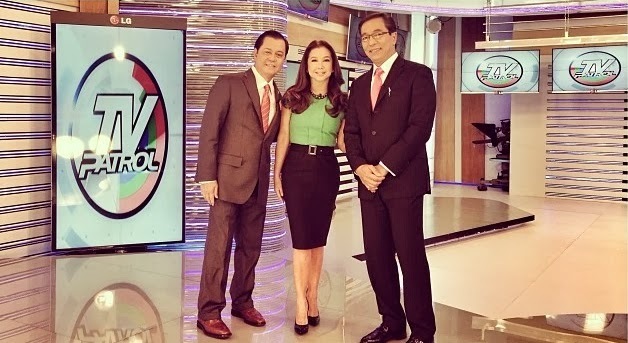 For now, TV Patrol is winning and regaining its position as the most-watched evening newscast in Mega Manila. Will they be able to maintain their lead in the weeks/months ahead? Only time will tell. We will be watching! Question: Which of the Big 3 evening newscasts do you regularly watch? Let us know by posting your comments below or on our Facebook page. You can also tweet us at @medianewserphil.